The lift has wide lifting platforms combined with durable cushioned‐rubber contact blocks. Simply drive the vehicle over the lowered scissor ramps and position the soft and durable rubber blocks under the vehicle lifting points for fast and easy vehicle positioning and set‐up. The user‐friendly power console features simple operator controls like up, down, and safety lock buttons. A small footprint, easy installation and adaptable 110V/240V power unit makes the ​P9000 the perfect lift that fits any shop or home garage. 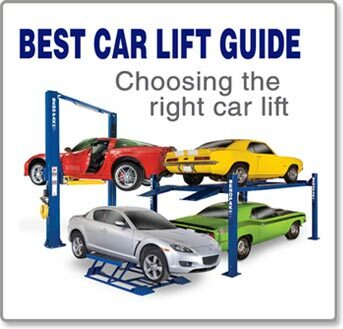 NOTE: The lift platform and contact blocks allow lifting of most unibody and frame contact undercarriages at recommended manufacturer pick‐up points on most vehicles. Be sure to compare your vehicle specifications, including ground clearance and overall height with the specifications shown before you purchase. • Each lift platform features four solid steel-scissor frame support bars making it the strongest mid-rise lift in its class. • Non‐skid approach ramps help to prevent slipping during approach and vehicle positioning. • Three locking positions allow technicians to work at different working heights to increase productivity and minimize fatigue. • Powder coat finish provides a long lasting durable finish. 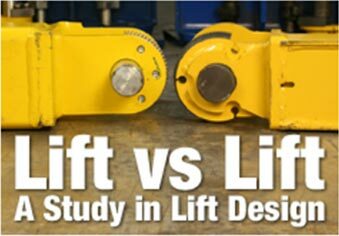 • Included with every lift are detailed installation and maintenance instructions, graphic safety decals, maintenance decals, vehicle lifting point guide and a safety instruction placard to train personnel on proper safety procedures and maintenance guidelines. • Dual master hydraulic cylinder combined with dual equalizing cylinders provides a safe and level 6,000 pound lifting capacity. • Solid‐steel safety lock bars engage automatically during ascent. • A push‐button safety lock release system is operated away from the lift and allows operators to safely deactivate the locks without the need to push or pull cumbersome release bars or lock release handles. • Hinge point features Zerk grease fitting to allow lubrication at critical wear areas. • Drive‐over ramps fold down during ascent and feature non‐marring wheels to protect garage floors.